Errol Lee came to us with a dream. Rhubarb helped translate his dream into a mobile responsive and engaging website. With this eye catching WordPress site we went for a visually impactful site that would really capture the essence of Errol Lee’s incredible performances and personality. Rhubarb Media is my one stop shop for insight, creativity and exceptional results! Rhubarb Media has a caring staff. They were patient, kept me on track, listened to my vision and made it better! To their staff, I say, RESPECT! In the past few weeks we have launched two new e-commerce websites on the increasingly popular Shopify platform. Under the Shopify Partners program, our team was able to work with clients to configure, populate, train-on and thoroughly test their new online stores. 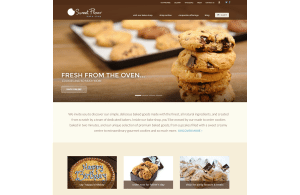 Although this is our 4th major update to sweetflour.ca since first launching it in 2009 using Drupal 6, we consider this an official “version 2” after migrating it from Ubercart 2 to Shopify. In 2012 the site underwent a restructuring and simplification of products and categories to improve UX and SEO. Since seeing an increase in online sales conversions, we made it a priority to maintain the site’s SEO equity by migrating the structure, maintaining keywords in content, page titles and meta descriptions, configuring 301 redirects and submitting the updated site map to Google Webmaster Tools. Additionally, we made it a priority to ensure the website content is mobile-first and usable on all size of devices with its responsive design. Helpful features such as a “call now” button that is revealed on the mobile-view of the website have been put in place to increase value to the customer experience. …I must say that you probably have one of the best put together bakery sites I have seen. The layout, the rules and feel of the site are extremely well done. Parcelled With Love was a start-up e-commerce site with the idea of selling toy products to parents and have them delivered as care packages to children while they are away at Summer camp. We worked with Sarah and Josie to give direction on marketing messaging, content development and appropriate photography styles. 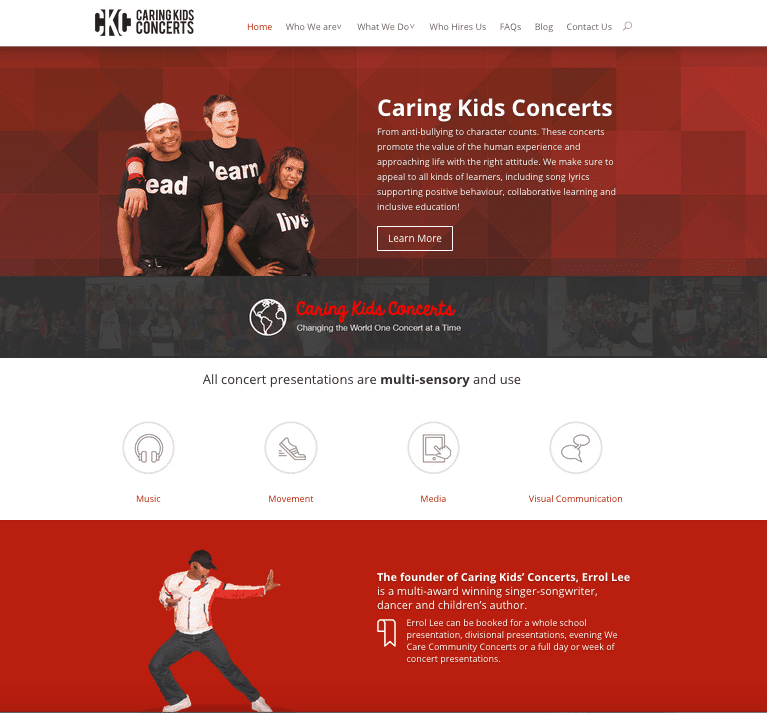 The logo and brand colours had been kicked-off before we took on the project, but we worked to further refine some of the styles and round out the colour palette to make the site’s presentation fun and kid-friendly without making the site look childish. We were extremely pleased with the website that the Rhubarb Media team designed using the Shopify platform. Rhubarb was able to successfully choose a theme in keeping with our products and provide us with design concepts that reflect our brand. The structure of the site the team built worked well, incorporating all of our categories and products. Finally, the Rhubarb team ensured that we were well trained to update and navigate changes to our Parcelled with Love website independently. We would happily recommend the professionals at Rhubarb Media. Let us know if you have an idea for an online business and need some assistance with your marketing efforts! We’ve been working over the past four months with entrepreneur and seniors advocate, Peter Cook, along with Kim Mclaughlin from www.lyracommunications.com to design and develop SENIORS IN NEED. The moment we chatted with Peter, we knew we wanted to help. Knowing that great ideas deserve great marketing, we contributed the logo and design branding and worked with them to make the site happen within their budget. They are getting some great media coverage! 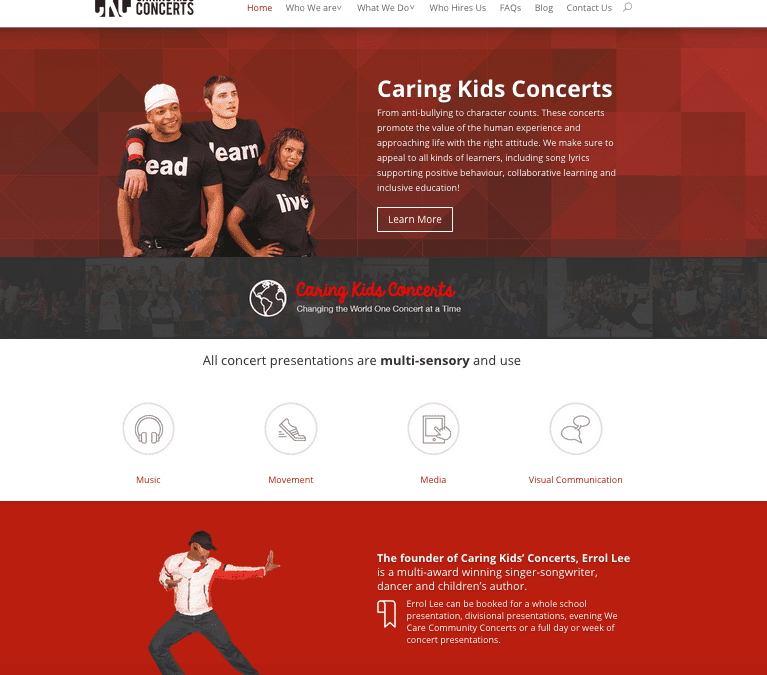 This site is a Content Management System (CMS) build on DRUPAL and allows the sponsoring agency (eg. VON, Red Cross, etc.) to join the site and post the needs of the seniors they support. They then link a senior in need with a donor via the agency that made the submission. Please consider contacting your local social agency assisting seniors and tell them to sign up and begin to alleviate the burden of our senior citizens. We’ve worked with all kinds of social agencies in Barrie helping them to look great and market themselves well. The Pregnancy Resource Centre and David Busby Centre are two we’ve worked with in the past, offering in-kind support and/or discounted rates. When we were approached by the Board of the Barrie Food Bank we jumped on the opportunity to serve one of Barrie’s oldest charities. We had a great time working with the new Director Peter Sundborg. This is only phase one. We hope to add some cool tools to help with fundraising. Stay tuned! In the meantime –make a donation!